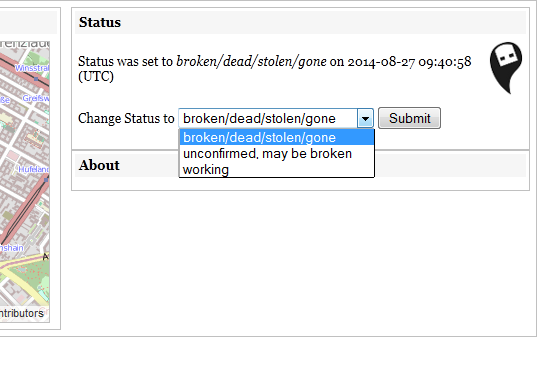 The Youtube user #USBdeaddrop made an effort to collect all videos dealing with DeadDrops in one or the other way. The result is this beautiful playlist of news reports, tutorials, documentations and more. There are whole lot of clips I haven t even seen before. So cool!! Thx!! 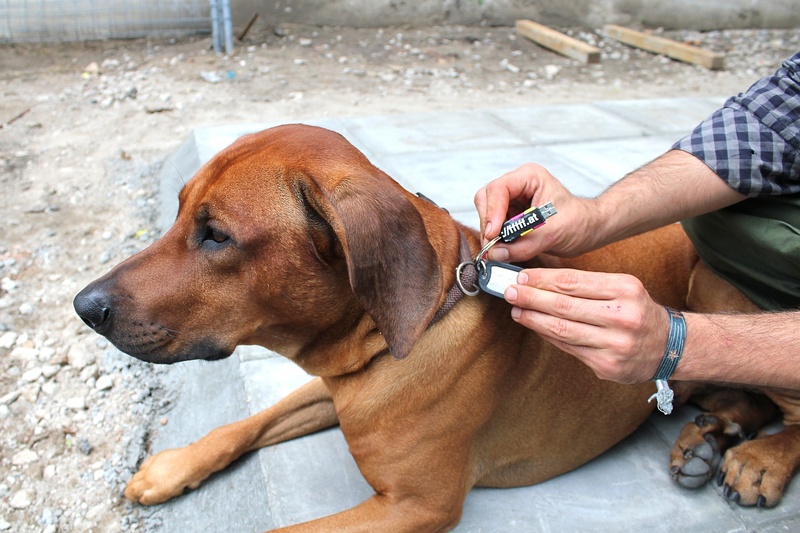 In the past two months there has been again a lot of international press about DeadDrops. 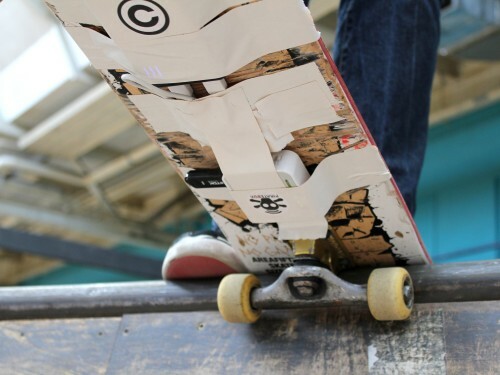 The DeadDrops project is running since November 2010, for four and a half years now. After the initial press buzz in 2010/11 the project kept spreading online with occasional press like after the Snowden releases etc. But just since the beginning of 2015 there was a lot of press all over again. It is really hard to tell how such a press wave is starting on a project which is already running for such a while but I assume after almost 5 years there is a new generation of Internet users and press people who haven’t heard about DeadDrops yet. Through some big blogs in the US it reached the south american news, spreaded there and also made it back to Europe. I ve listed a selection of press links at the end of this post. Please also see the nice DeadDrops youtube playlist somebody made. The actual great story about the Cologne DeadDrop is that this specific DeadDrop, which I made myself as part of a duo show with JODI at DAM Cologne in 2011, was still existing and working in 2015!! Until the police ripped it out and broke it to then hand it in at the at the LKA cyber security department to get it fixed. Of course the highlight is how the two police men are kneeling in front of the yellow banana (the gallery “certificate”) trying to understand what’s going on. 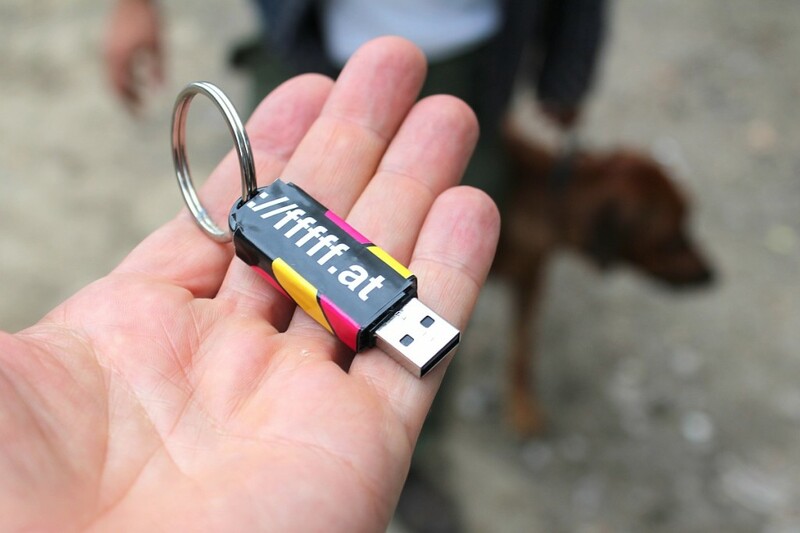 In fact later the Kriminalpolizei called DAM gallery to have them explain what exactly this USB stick is about and what the DeadDrops project is etc. On the same day I made this popular tweet about the whole story. Of course I am very happy about all the attention for DeadDrops. It is very interesting to witness how the perspective on such a project has changed over the past five years, especially since 2013. I am glad to see how this project is still going on and how it has inspired so many people over the years. Thanks to all the deaddroppers out there!! You are awesome!! We will brainstorm, discuss, hack and hang at Spree riverside with bbq and drinks! Open to everyone, free entrance, drop by any time! Deaddrops started in 2010. People from all over the world have been making more than 1300 deadrops untill today! The project inspired many other DIY offline network projects and since last year after Snowden the site gained again new momentum. It is interesting how this and similar projects are perceived in a different light today. We actually need secure and alternative communication channels since we now know how bad mass surveillance on the Internet is. 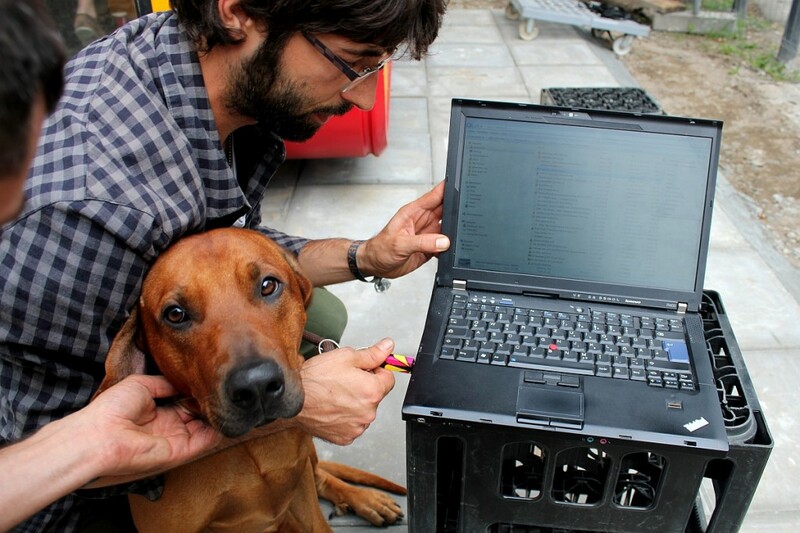 You are invited to discuss all these questions with us at the DeadDrops HackDay. The platform deaddrops.com, mobile site and apps etc were developed by a whole bunch of enthusiasts from around the world in the past 4 years. Thx everyone!! :)) Unfortunately the development of deaddrops.com came to a halt some time ago but now is the right moment to pick up and take things to the next level. 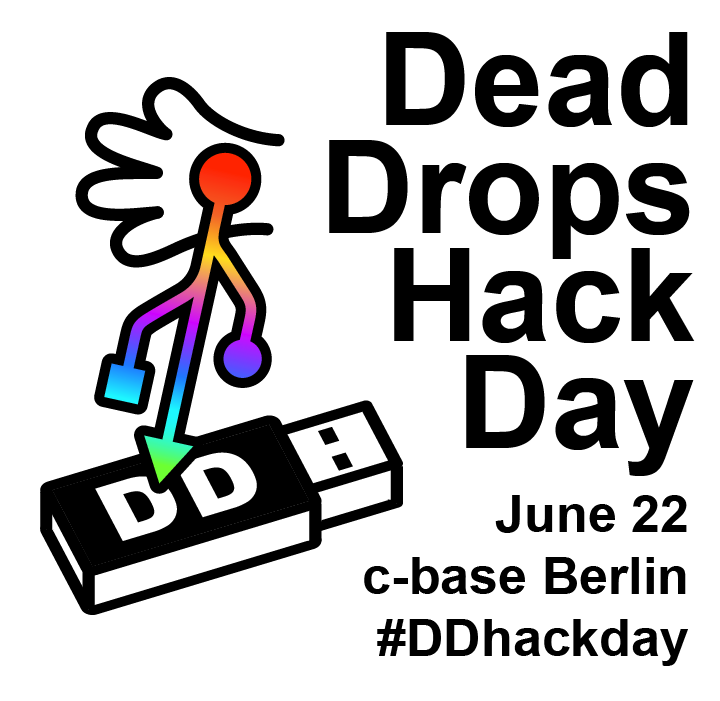 You are invited to join us on June 22 at c-base to brainstorm, discuss and hack for deaddrops. I’m very open to all kind of proposals! It’s not only about USB drives, there is much more waiting out there… Let’s rock!! Please register at deaddrops at deaddrops com and let me know your interest, skills and field of work. This would help a lot. In the evening there will be slots to present your spinoff, project and ideas. More info and details coming soon! 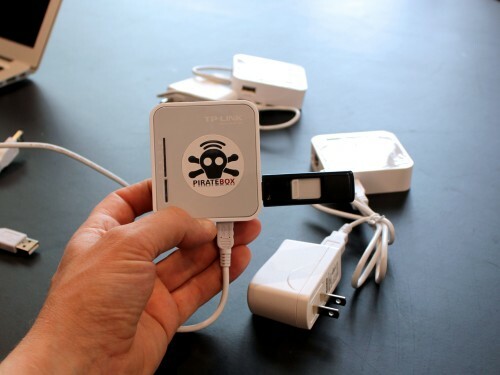 PS: Congrats to my friends David and Matthias at Piratebox.cc for their version 1.0 release and new website! Cool!! 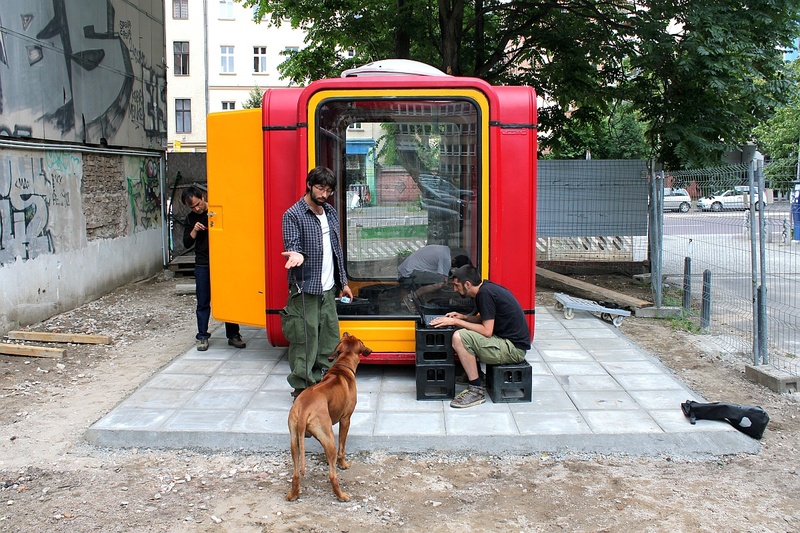 THE FUTURE OF OFFLINE FILESHARING from stichting MU on Vimeo. Great explanatory video! Thx guys!! A few days ago The Pirate Bay announced that in future parts of its site could be hosted on GPS controlled drones. To many this may have sounded like a joke, but in fact these pirate drones already exist. Project “Electronic Countermeasures” has built a swarm of five fully operational drones which prove that an “aerial Napster” or an “airborne Pirate Bay” is not as futuristic as it sounds. ….